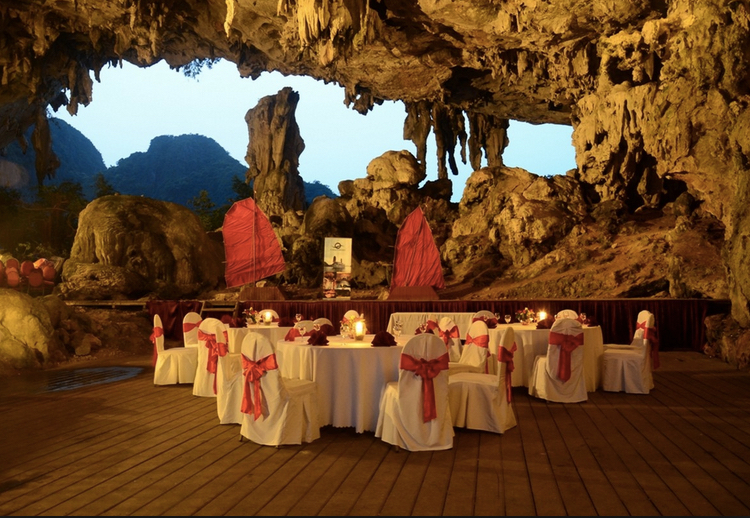 Add this half day climbing adventure to your Mai Chau Valley Experience & conquer breathtaking rock formations with climbing routes ranging from beginner to intermediate. 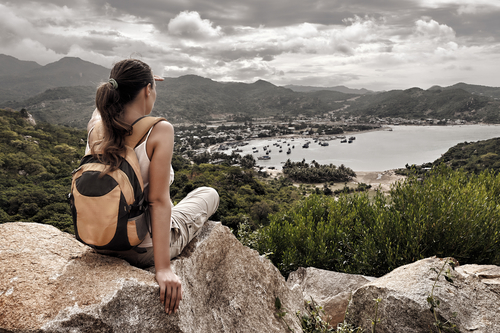 Price starts at HK$298 per person, including a professional climbing guide. 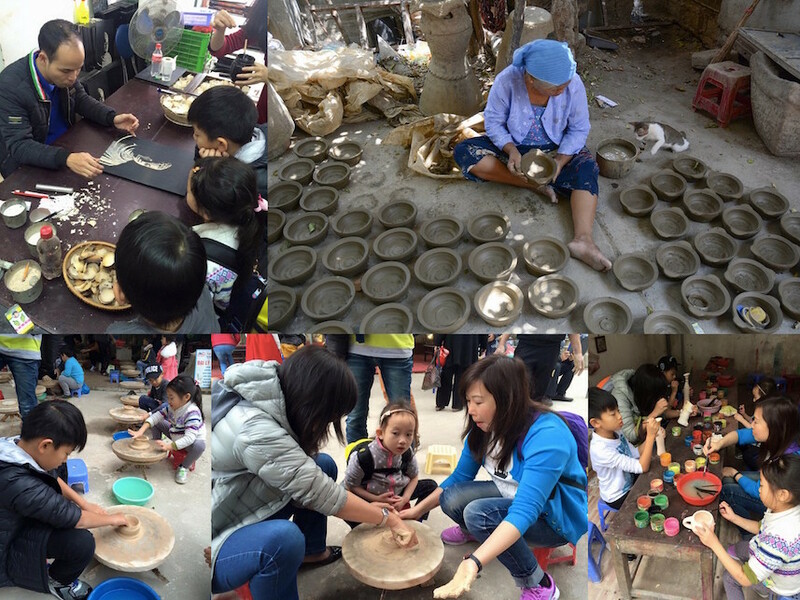 Experience a three day, two night homestay with a local family while exploring the gorgeous valley of Mai Chau. 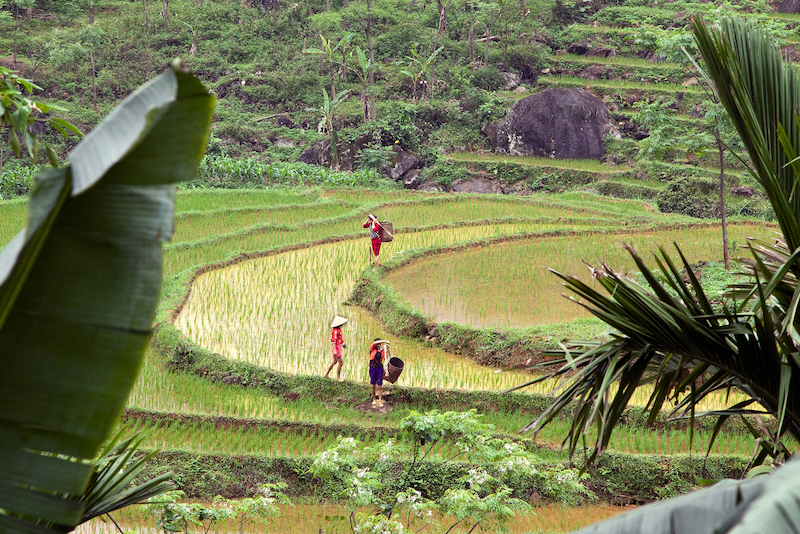 Go trekking & taste the flavors of countryside Vietnam for as low as HK$1,787 per person, guide, accommodations & meals included. 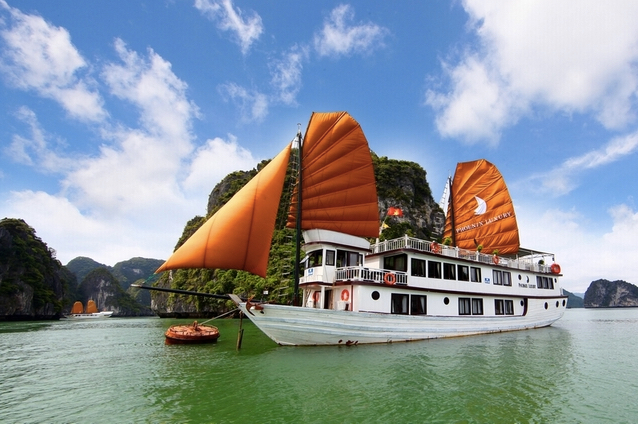 A luxury two day cruise along one of the Seven Wonders of Natural World, Halong Bay, complete with breathtaking sights, delicious food, kayaking, swimming & adventurous cave exploration for as low as HK$1698 per person, including meals & accommodations. 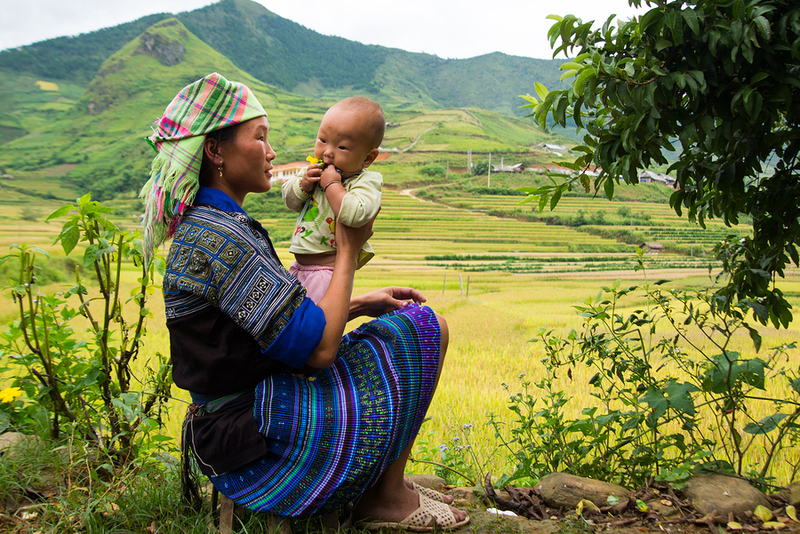 Explore the gorgeous scenery along the Ba Vi Mountain Range, ride a bicycle around the Duong Lam Ancient Village & learn about their history & traditions as told by the local villagers. Price starts at HK$352 with lunch. 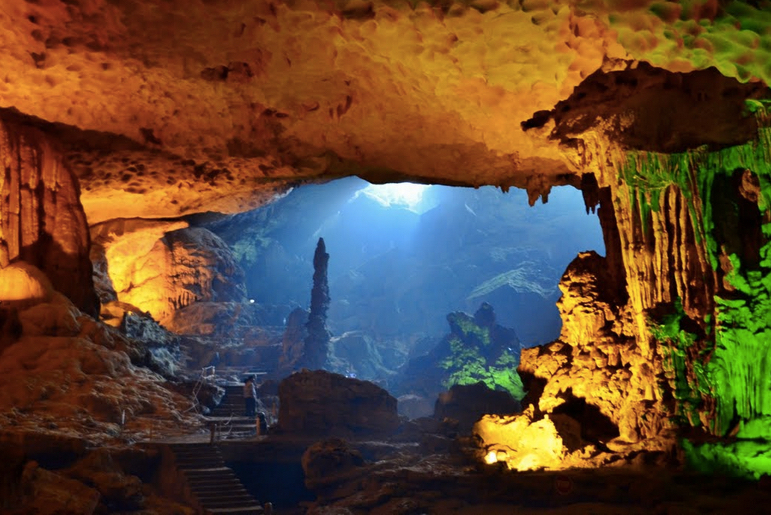 Tour runs daily from 8 AM to 5 PM. 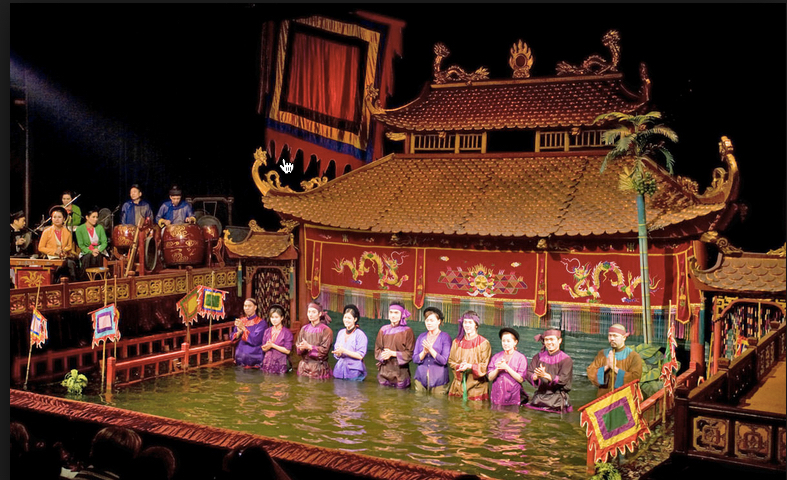 After a long day walking the streets of Hanoi, spend your evening visiting the Than Long Theatre to watch the famous Water Puppetry Show then enjoy a delicious Vietnamese dinner of Cha Ca washed down with Bia Ha Noi for as low as HK$312 per person. 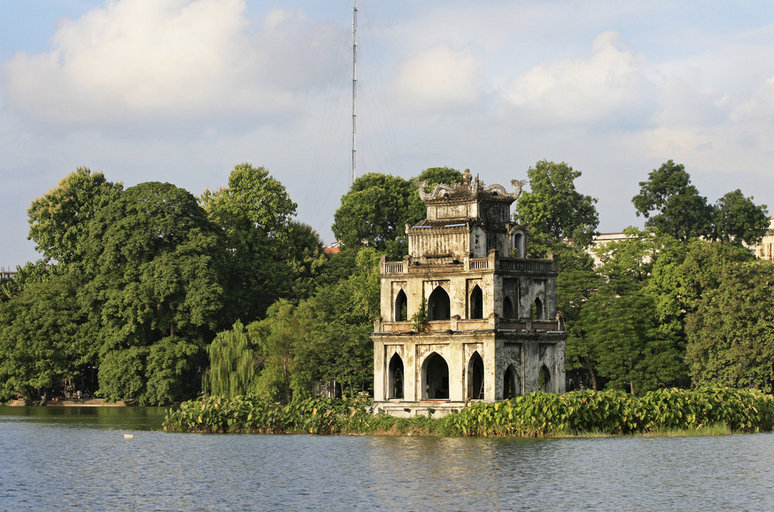 See Hanoi's world famous attractions such as the Ho Chi Minh Mausoleum, One Pillar Pagoda, Presidential Palace & the Temple of Literature. 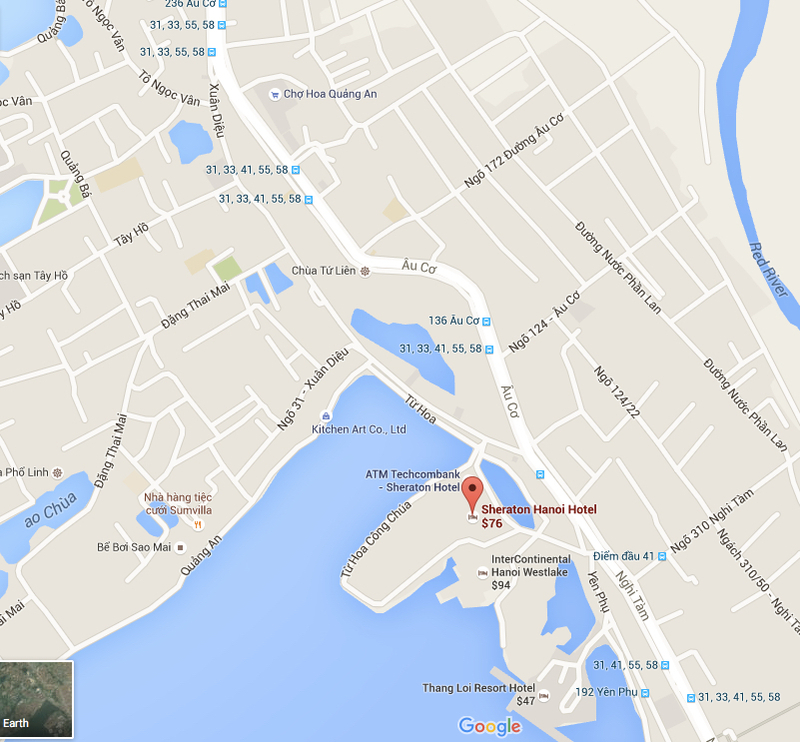 Cap your tour with a scenic cyclo ride around the Old Quarter. 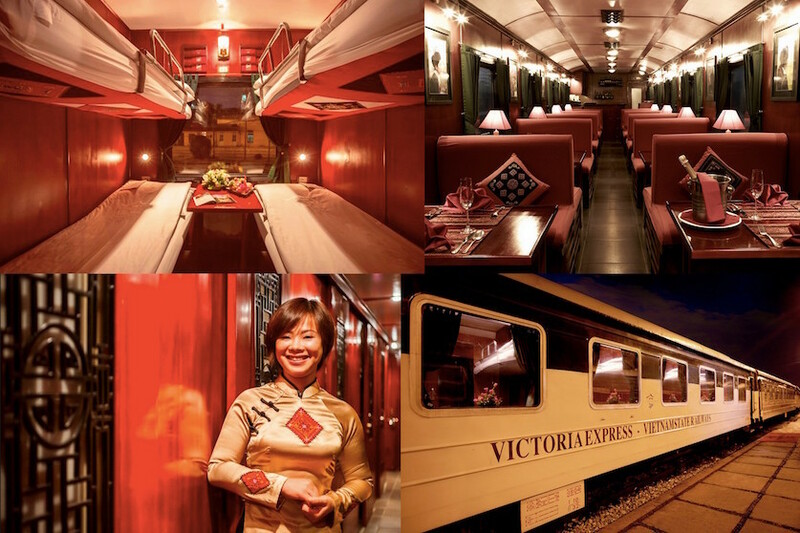 Price starts at HK$88 per person. 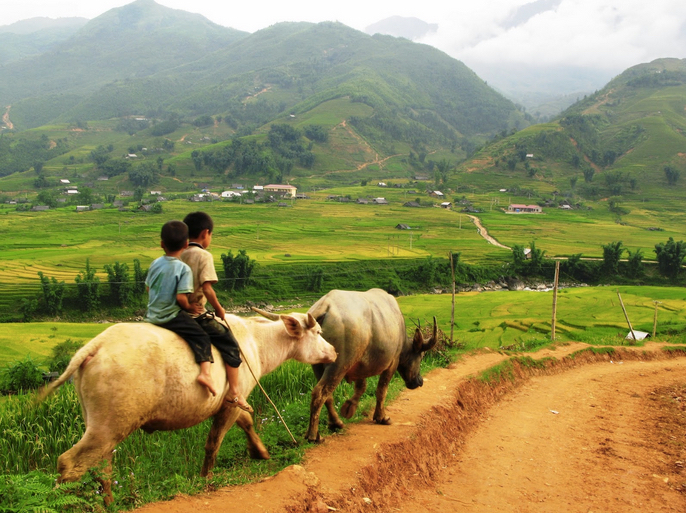 Mai Chau is located 160 km away from Hanoi, in Northern Vietnam. 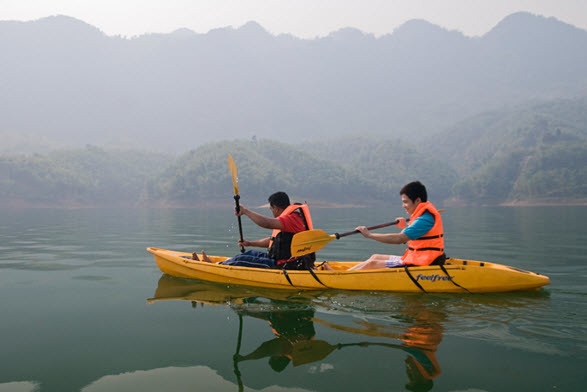 Enjoy the soundtrack of streams & birdsong, as well as a memorable interactive experience with the locals on this whole day trip for as low as HK$189 per person with lunch & transportation. 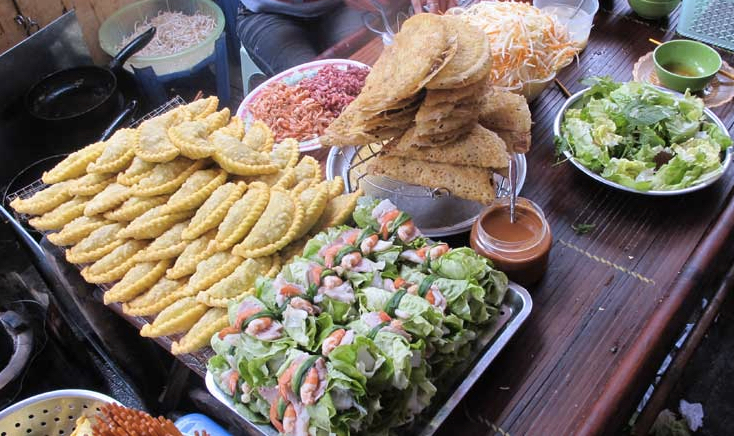 Sample delicious Vietnamese food like savory noodles, vegetable skewers & crispy pancakes at Hanoi's evening street food eateries for as low as HK$184 per person, with an English speaking guide who'll make sure your orders don't get lost in translation. 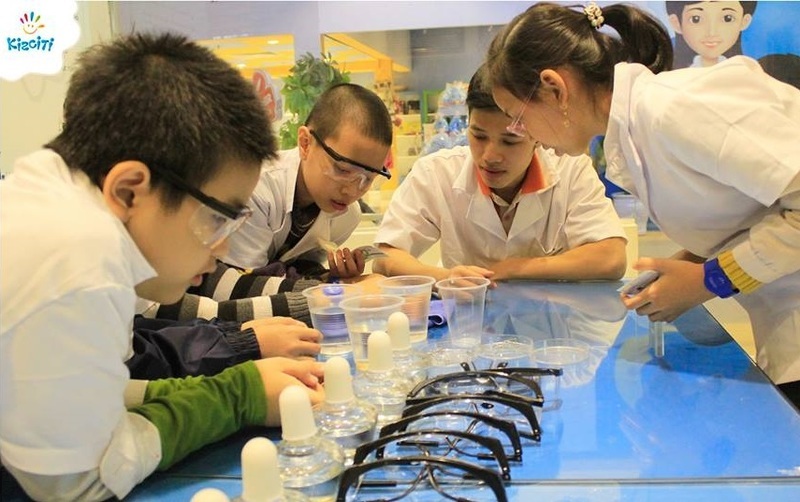 Kizciti will give your kids a glimpse of life as a Vietnamese citizen with various guided activities portraying the role of a doctor, firefighter, engineer & pilot in Hanoi. 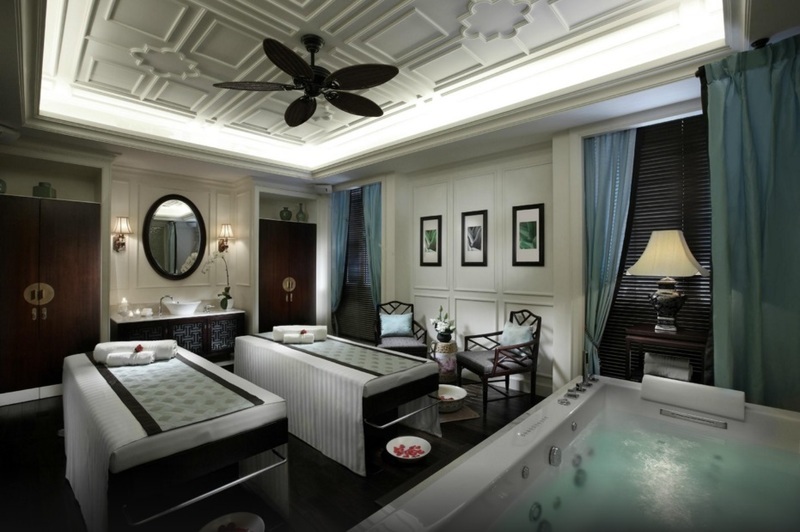 Choose from our selection of high end but still affordable Vietnamese & International Spas in Hanoi, with their professionally trained staff, elegant atmosphere & world class services that's sure to invigorate weary travelers like you. 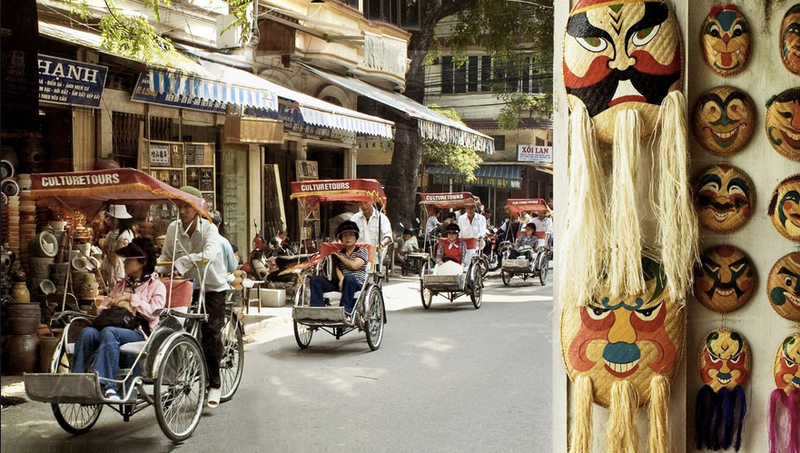 Immerse yourself in the dynamic street life & opulent architectures of Hoan Kiem, Hanoi's commercial district that includes The Old Quarter, Hanoi Opera House & Thang Long Water Puppet Theatre. 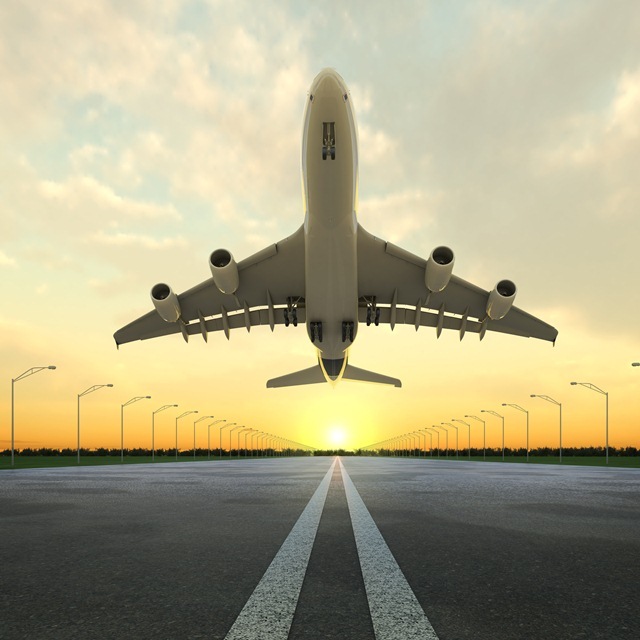 Book your airport transfer with us to ensure safe & hassle free arrival at your hotel. 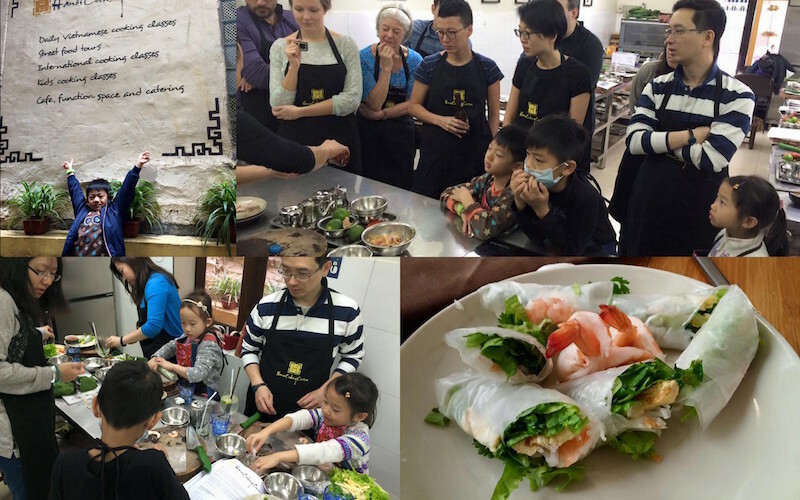 Price starts at HK$44 per person. 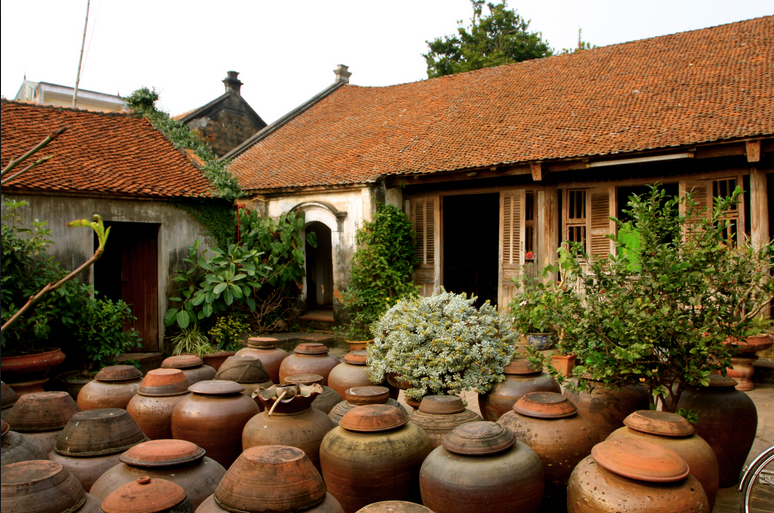 No journey to Hanoi is ever complete without you taking a sip or two of their world famous Vietnamese draft beer! Try any or all of these bars & get a memorable taste of Hanoi's vibrant nightlife, all for a fraction of what you'd pay for at home! 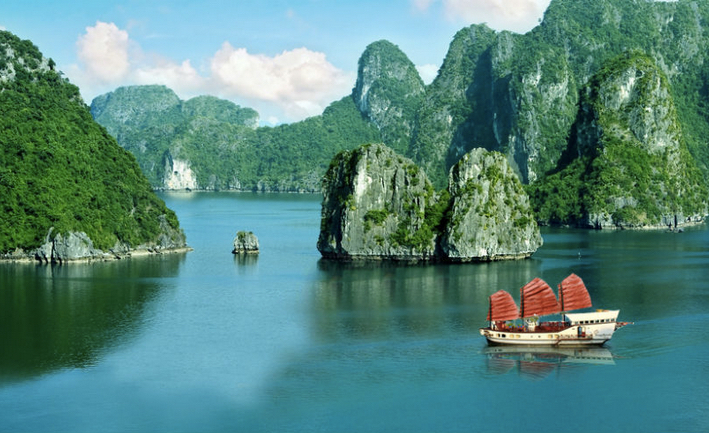 This short morning activity will take you through Hanoi's Flower Market, Hoan Kiem Lake, Huc Bridge & Ngoc Son temple for as low as HK$259 per person. It lasts about 3 to 4 hours. 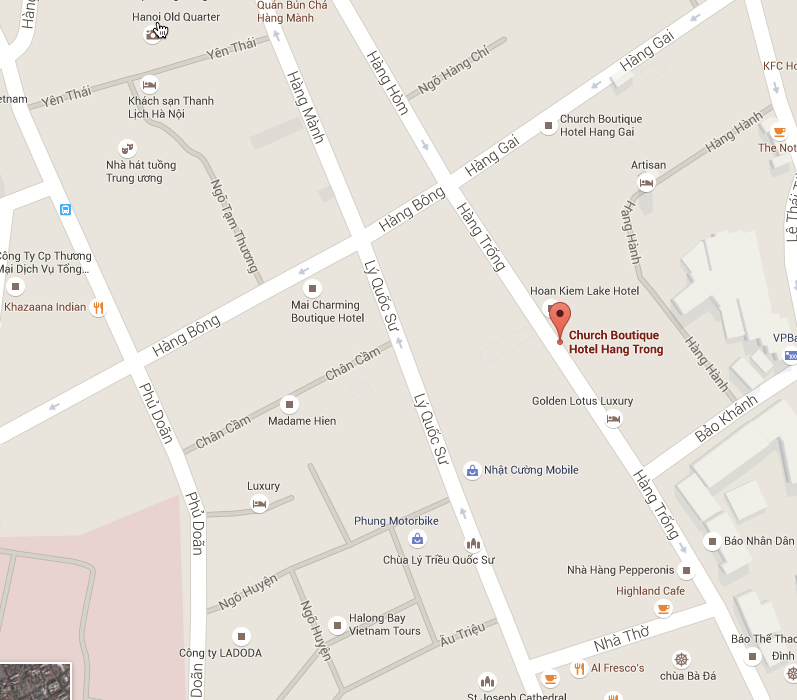 The Church Boutique 35-37 Hang Trong is located in Hanoi’s famous Old Quarter, only three minutes walk from Hoan Kiem Lake. 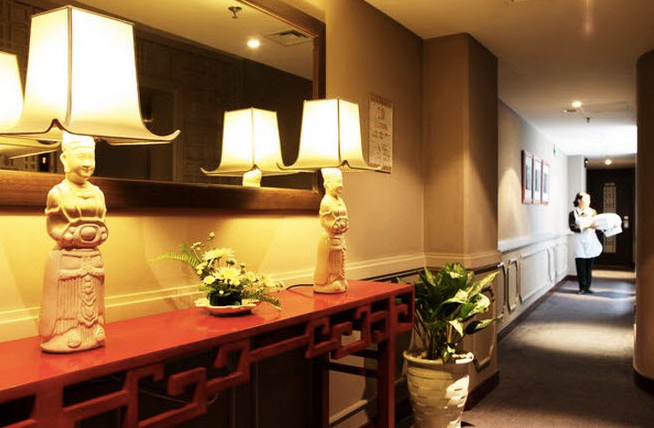 Enjoy all day dining at the Hoan Kiem Cafe & see how their close attention to details has made this an impeccable hotel, well loved by budget conscious & business travellers alike. Our sixteen beautifully decorated Classic guest rooms are stylishly furnished with an array of modern amenities to satisfy the needs of discerning travelers. All of the rooms are equipped with tea & coffee making facilities, mini fridge, multi channel satellite television, mini bar, IDD telephone, combination shower & bath tub, hair dryer, remote control air-conditioning, safety box, free internet access, room service & daily newspapers upon request. 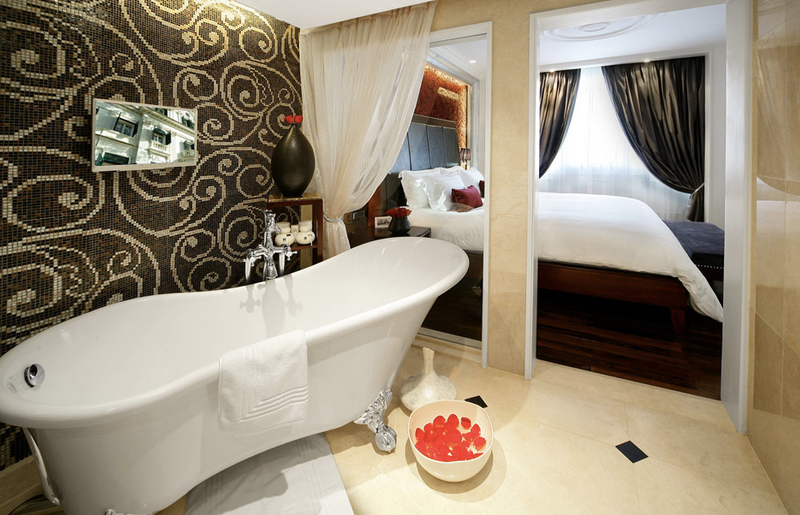 Eight tastefully designed suites offering luxury, elegance & comfort, our Deluxe Suite is one of our most exclusive offerings where you can treat yourself to the best. All of the rooms are equipped with tea & coffee making facilities, mini fridge, multi channel satellite television, mini bar, IDD telephone, combination shower & bath tub, hair dryer, remote control air-conditioning, safety box, free internet access, room service & daily newspapers upon request. 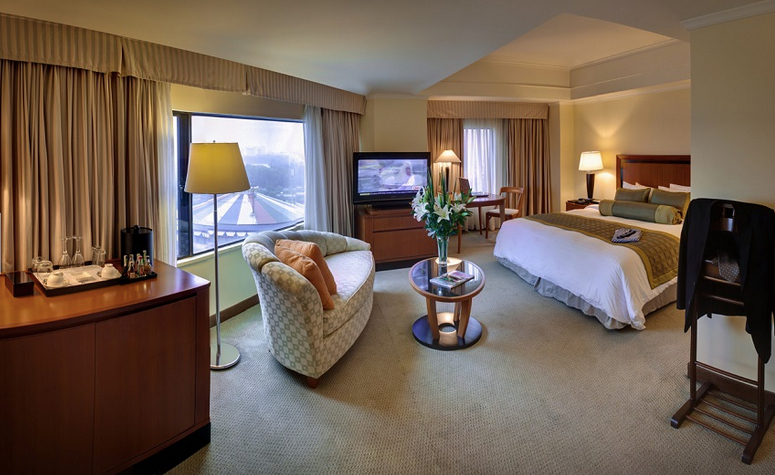 Our three luxury rooms are tastefully decorated & completely furnished with big windows that opens to a balcony where you can enjoy a gorgeous view of the city. All of the rooms are equipped with tea & coffee making facilities, mini fridge, multi channel satellite television, mini bar, IDD telephone, combination shower & bath tub, hair dryer, remote control air-conditioning, safety box, free internet access, room service & daily newspapers upon request. 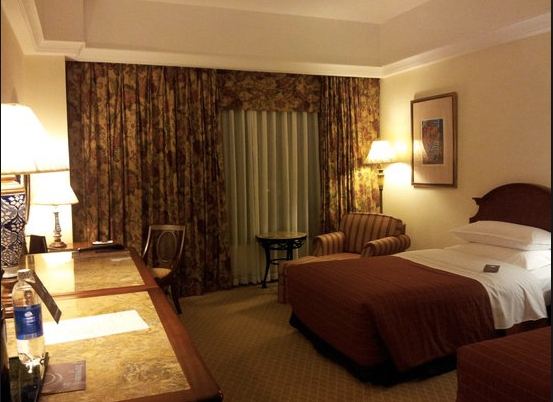 Our twenty eight superior rooms offer a wealth of amenities that will surely make your stay with us a comfortable one. All of the rooms are equipped with tea & coffee making facilities, mini fridge, multi channel satellite television, mini bar, IDD telephone, combination shower & bath tub, hair dryer, remote control air-conditioning, safety box, free internet access, room service & daily newspapers upon request. 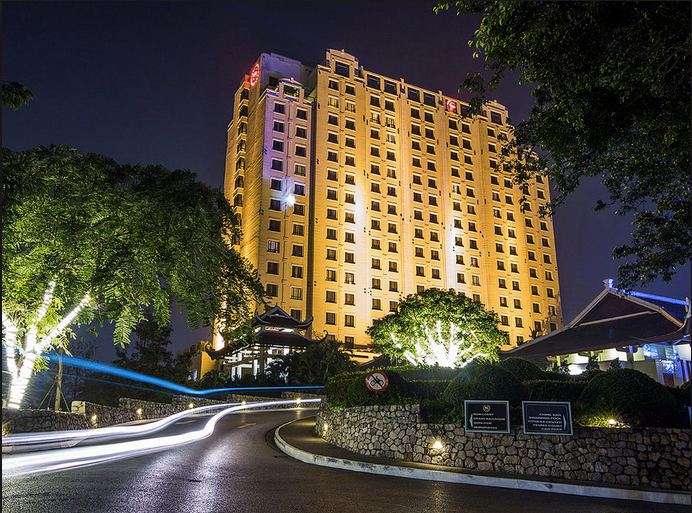 Close to the bustle & excitement of the city, Sheraton Hanoi Hotel is surrounded by lush gardens, sweeping lawns & tranquil courtyards. 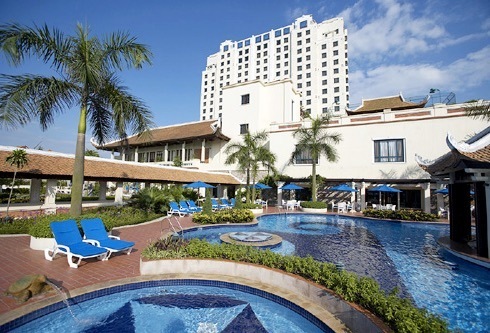 This peaceful oasis features picturesque views of West Lake & is less than 10 minutes away from downtown Hanoi. 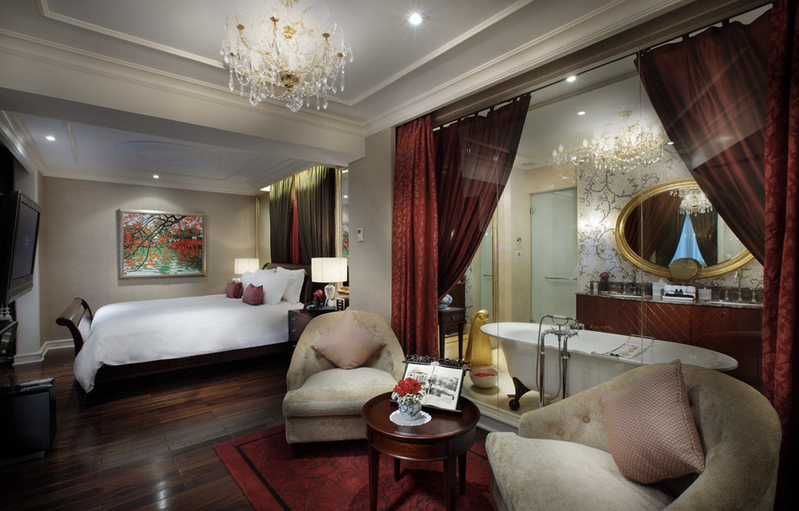 Located on the hotel’s lower floors, inviting Deluxe Rooms are tastefully decorated with traditional Vietnamese & French décor. Floor-to-ceiling windows offer panoramic views of West Lake & the Red River, each casting a golden glow to the rich wood accents & neutral palette found throughout the interior. 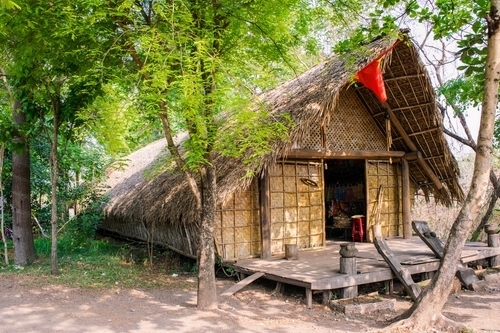 High Speed Internet Access ensures everyone stays connected, while a 32-inch LCD flat screen TV provides entertainment. When it’s time to turn in for the evening, count on a good night’s sleep in the unsurpassed comfort of the Sheraton Sweet Sleeper® Bed, adorned in crisp white linens & plush pillows. 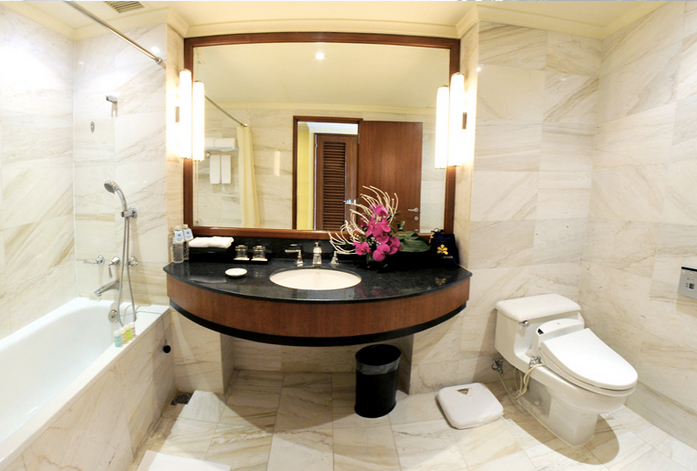 Refresh with Shine for Sheraton™ bath amenities in bathrooms that include marble floors & a convenient bathtub & shower combination. Thoughtful additions, such as a terrycloth bathrobe & slippers, complete the spa-like feel. 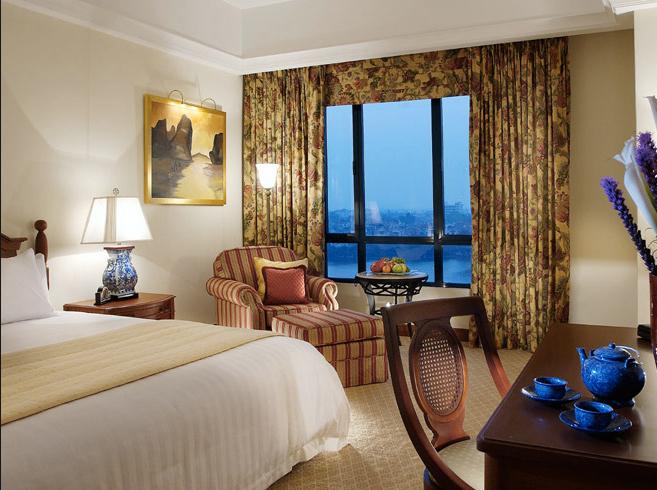 Panoramic West Lake & Red River views bring a sense of subtle sophistication to our Sheraton Club Rooms. Splashes of rich wood pop against a neutral palette of cream, beige, & gold. Stretch out on the appealingly striped divan as you take in the view, enjoy a complimentary English-language newspaper, or watch your favorite show on the 32-inch LCD flat screen TV. Complimentary High Speed Internet Access helps you stay connected to home. 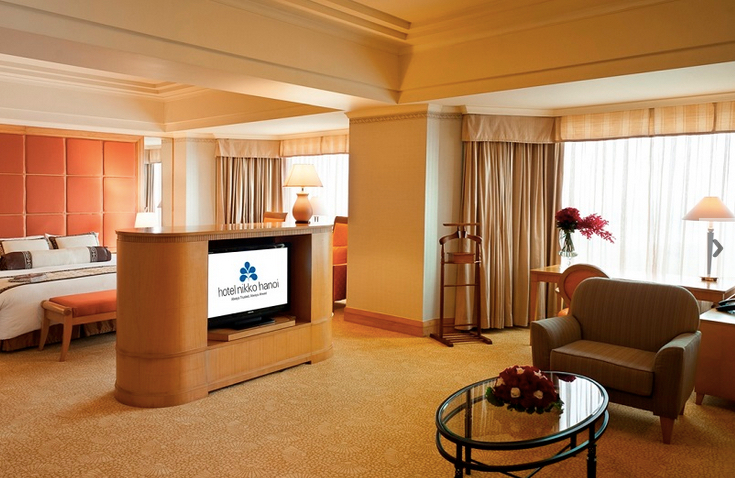 Stay alert & refreshed with the in-room coffeemaker & complimentary bottled water. When it’s time to turn in for the evening, count on a good night’s sleep in the unsurpassed comfort of the Sheraton Sweet Sleeper® Bed adorned in crisp white linens & plush pillows. 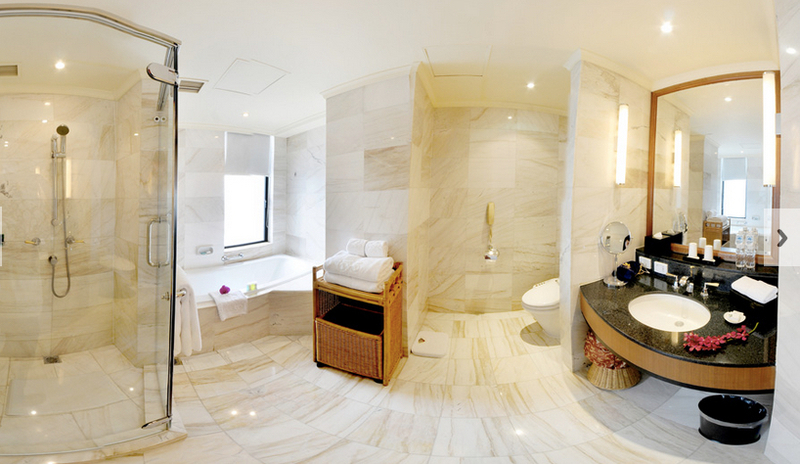 Refresh with Shine for Sheraton™ bath amenities in bathrooms that feature marble floors & a convenient bathtub & shower combination. Thoughtful additions, such as a terrycloth bathrobe & slippers, complete the spa-like feel. Guests in these accommodations enjoy private check-in & checkout, as well as the complimentary pressing of three garments daily. Club Room guests also have special access to the Sheraton Club Lounge. 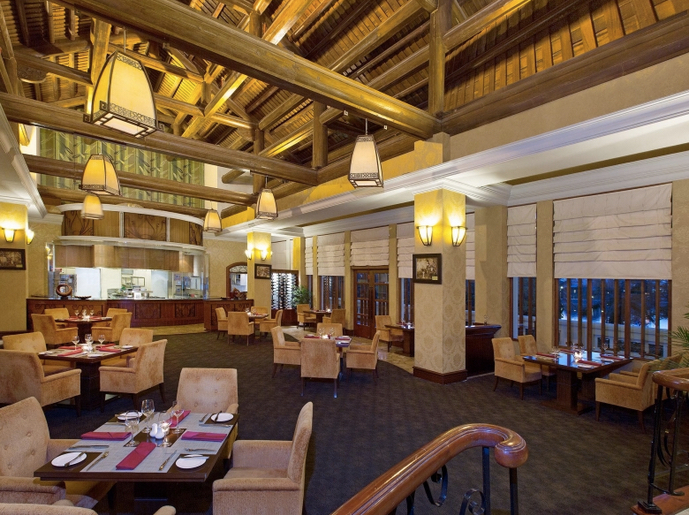 A relaxing, upscale space, the Club Lounge offers complimentary breakfast, afternoon hors d’oeuvres & a variety of beverage options. Stretch out & relax in the expanse of a pleasingly appointed Executive Suite, featuring panoramic West Lake & Red River views from floor-to-ceiling windows. Inside, traditional Vietnamese & French décor in a neutral palette of beige, cream, & gold is set aglow, perfectly balanced by the rich wood accents. 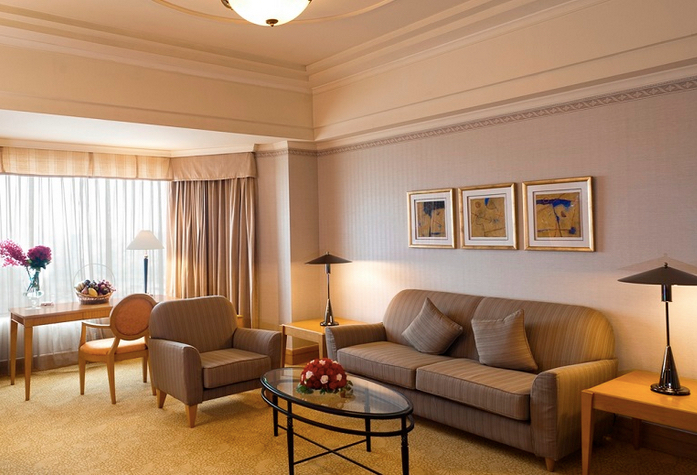 In the living room, relax on the plush sofa with a good book or tune in to the 37-inch LCD flat screen TV. At the day’s end, open the door to the private bedroom, where the unmatched comfort of a king-size Sheraton Sweet Sleeper® Bed awaits. 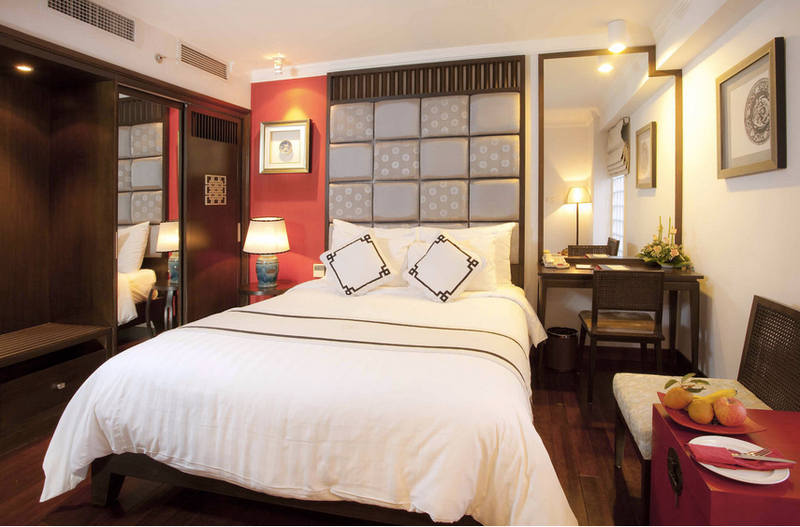 Find yourself enveloped in the crisp white sheets & downy duvet while watching a second 37-inch LCD flat screen TV. 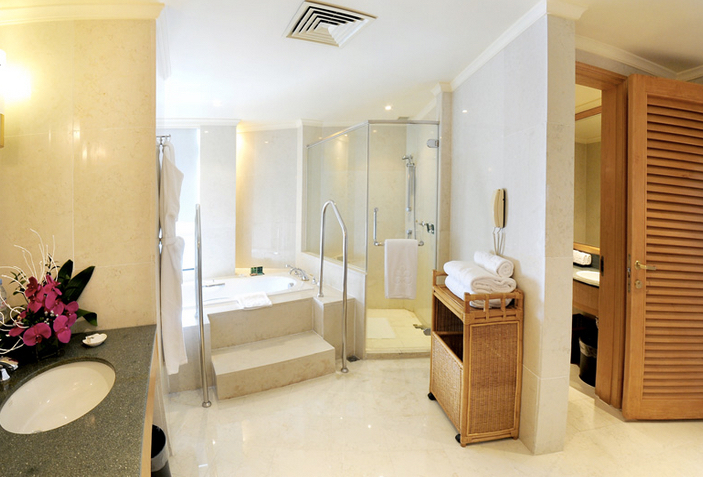 Refresh with Shine for Sheraton™ bath amenities in a bathroom that features marble floors & a convenient bathtub & shower combination. Thoughtful additions, such as a terrycloth bathrobe & slippers, complete the spa-like feel. 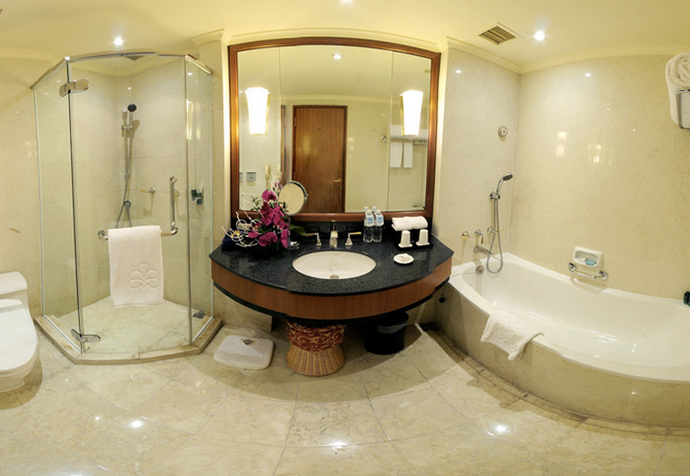 Some suites also offer shower seats. Gaze out through the floor-to-ceiling windows of a Grand Deluxe Room to take in expansive Red River & West Lake views from one of our higher floors. 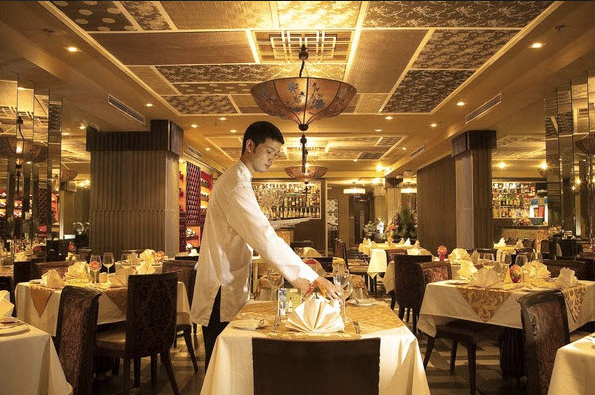 Inside, traditional Vietnamese & French décor weaves its way throughout the space, which includes a large writing desk & complimentary High Speed Internet Access. A 32-inch LCD flat screen TV ensures plenty of entertainment options. When it’s time to turn in for the evening, count on a good night’s sleep in the unsurpassed comfort of the Sheraton Sweet Sleeper® Bed adorned in crisp white linens and plush pillows. Refresh with Shine for Sheraton™ bath amenities in bathrooms that feature marble floors & a convenient bathtub and shower combination. Thoughtful additions, such as a terrycloth bathrobe & slippers, complete the spa-like feel. 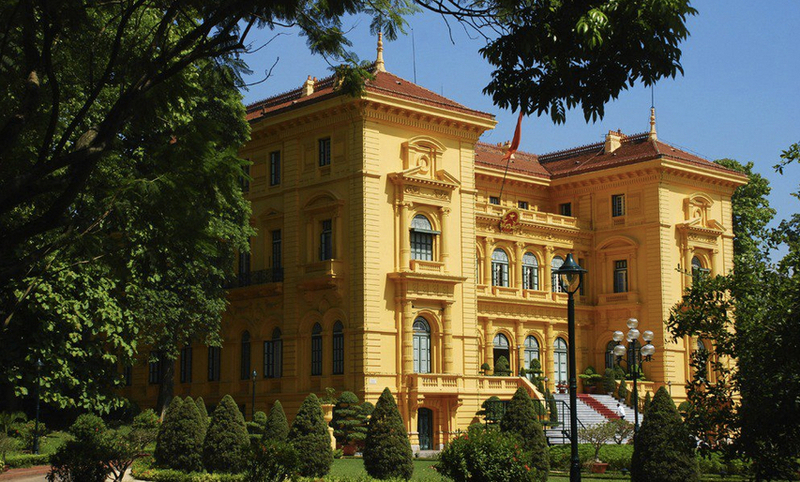 Step back into history at Hanoi's most storied 5-star hotel. A Grand Dame of Southeast Asia, Sofitel Legend Metropole Hanoï welcomes guests to experience her colonial grandeur & timeless elegance. 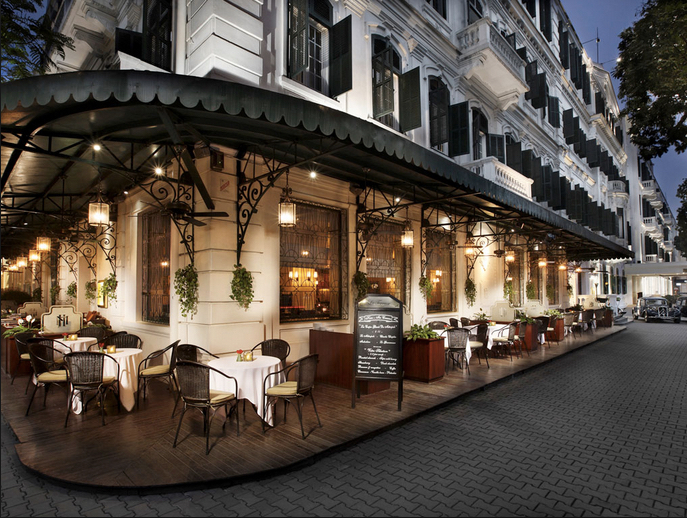 Located steps from the Opera House in Hanoi's French Quarter, this legendary property brings guests into intimate contact with the opulence of another era. 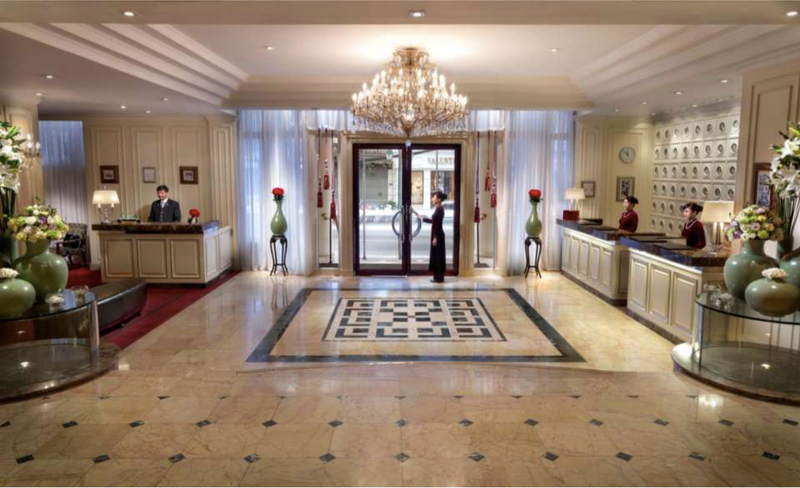 Surround yourself in heritage as you stroll along stately corridors & explore a dramatic past. Occupying the Club Floor of the Opera Wing, the Grand Premium Rooms epitomise a world of cultured sophistication & creative luxury. The sensual interior, bedecked with luxurious wood, black leather, velvet & marble, is generously proportioned with an open-plan design that flows seamlessly from the living, sleeping & working areas to the spa bathroom complete with period-inspired claw-foot tub. Club Floor guests enjoy extra privileges in the exclusive Club Lounge, including butler services, Internet, breakfast, afternoon tea, cocktails & late check-out on availability upon check-in. Rollaway bed is available upon request with surcharge. 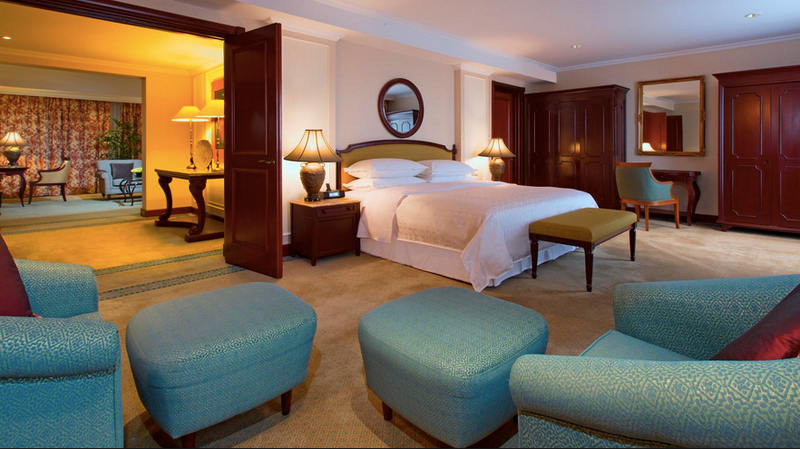 Our Grand Prestige Suite was created to ensure our guest’s upmost comfort in a contemporary, yet luxurious atmosphere. Enjoy the latest technology equipment within the historic charm of our colonial hotel. Featuring ambient lighting, it creates a fantastic retreat with its digital Bose surround sound system, large plasma TV, comfortable lounge, master bedroom, connecting Grand Premium Room, individual spa room, dining area for eight people, magnificent bathroom with French standing bathtub & steam shower, nightly drinks from the full open bar & round the clock Butler service. 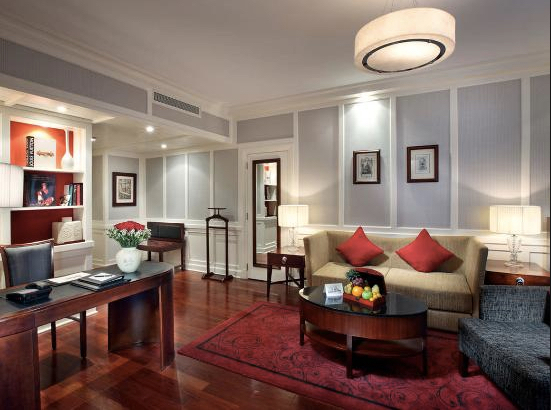 The Premium Rooms showcase lofty, bright interiors with elegantly finished timber floors. With open-plan design & outfitted with French windows, the living area offers an ideal space for relaxation after a day of shopping & sightseeing. 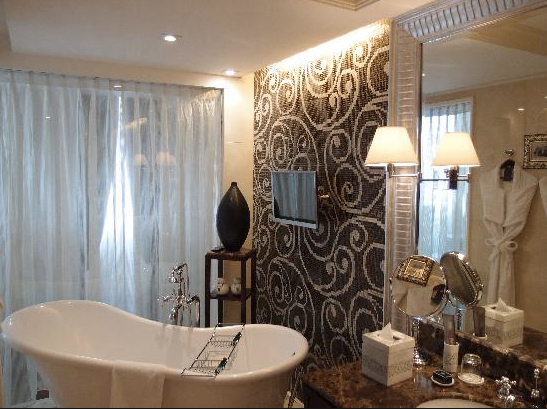 Bedecked in white marble tiles, the bathroom features a cast-iron bathtub & luxurious amenities. 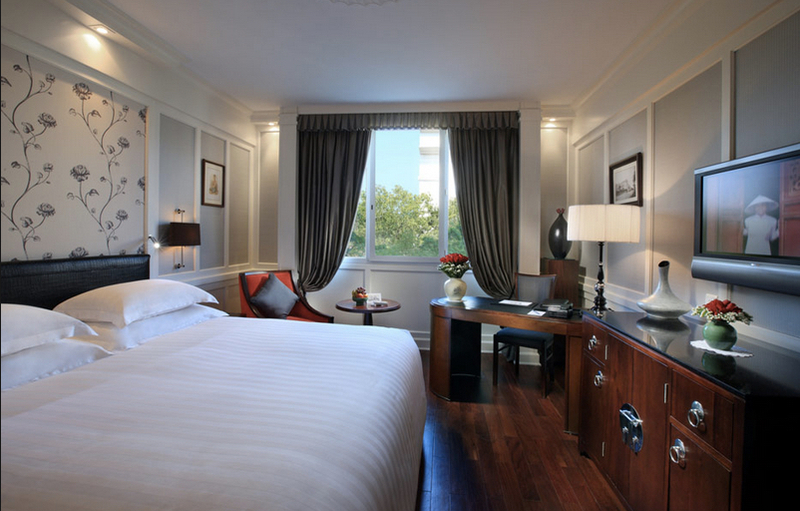 The Premium Rooms showcase lofty, bright interiors with elegantly finished timber floors. With open-plan design & outfitted with French windows, the living area offers an ideal space for relaxation after a busy day of shopping & sightseeing. 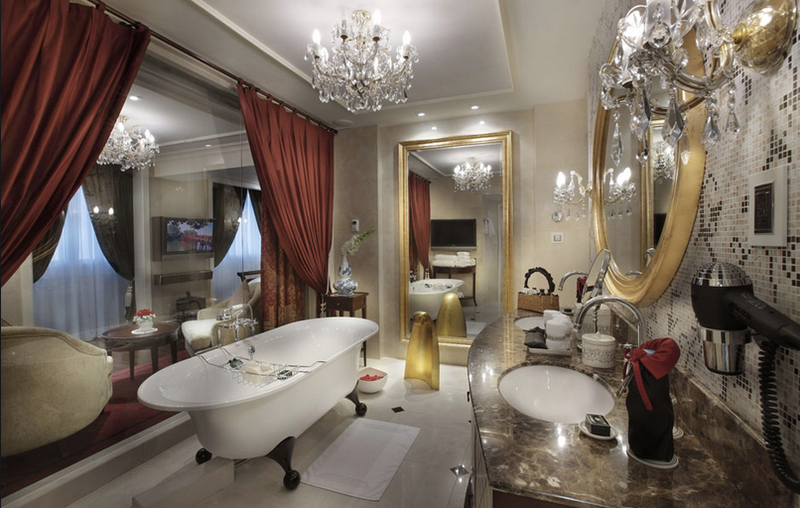 Bedecked in white marble tiles, the bathroom features a cast-iron bathtub & luxurious amenities. Premium room patio includes a terrace which opens into a lush garden. Located in the Opera Wing, the Prestige Suites are newly renovated & consist of one bedroom & one small living room offering a neo-classical interior design. 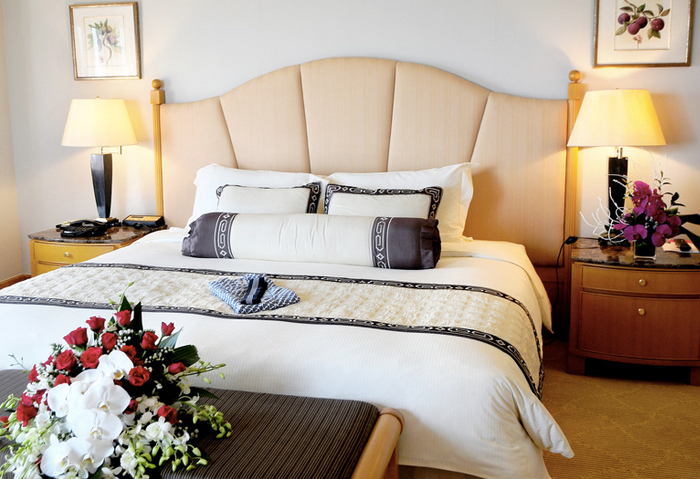 Some suites can be inter-connected to a Grand Premium room or Premium room. The 64 m2 rooms are furnished in contemporary style using luxurious wood & fabrics, bright colors & are equipped with Bose Sound Dock system, iPod, broadband Internet access & flat screen TV with DVD player. 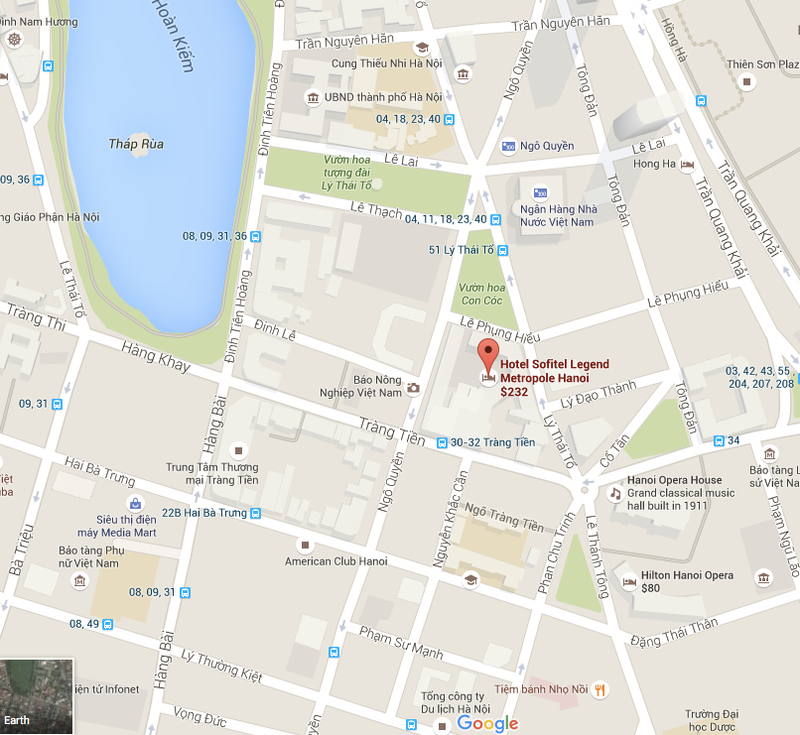 Overlooking Thong Nhat Park, the Hotel Nikko Hanoi in the Nguyen Du neighborhood is an eight minute walk from Hanoi Train Station & two kilometers from the Temple of Literature. 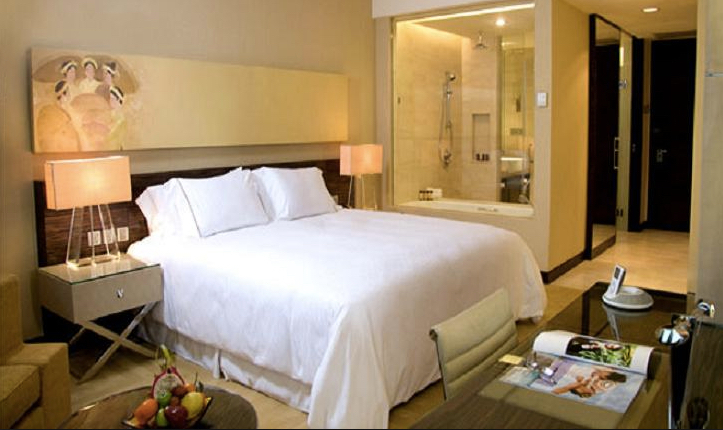 It's well furnished rooms offer free Wi-Fi, flat-screen TVs & minibars. Other amenities include three fine dining restaurants, including Chinese & Japanese eateries, as well as a stylish bar, outdoor pool, a gym & a hot tub, plus a sauna & a day spa. 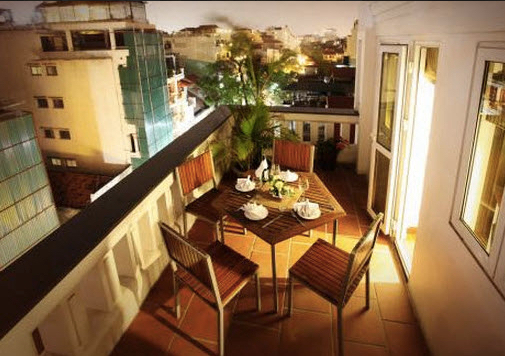 Hotel Nikko Hanoi offers 257 generously sized & beautifully decorated Guest Rooms and Suites. 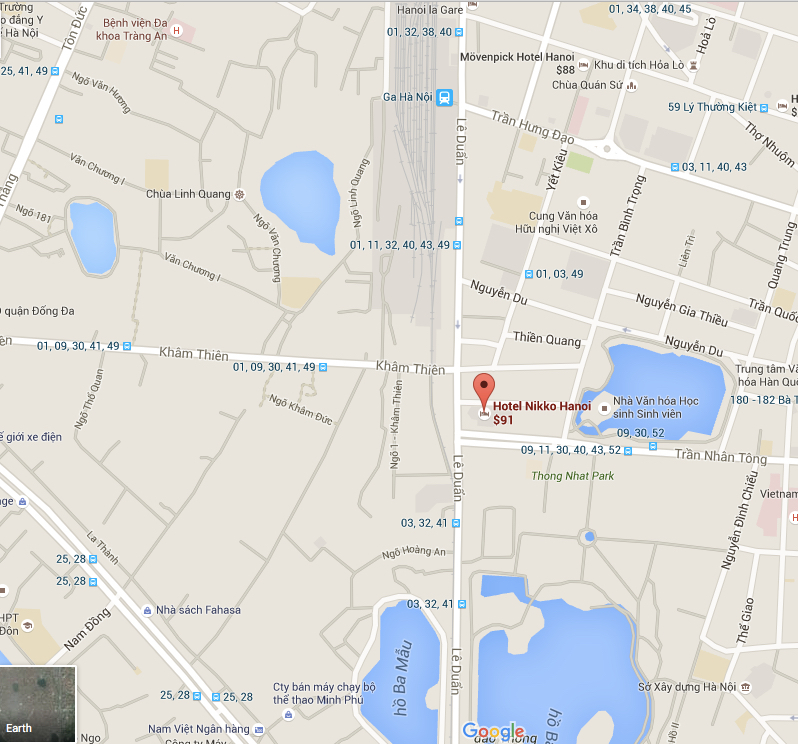 Our hotel is proud of its 5 star hotel rating as well as its 100% modern shower & toilet. 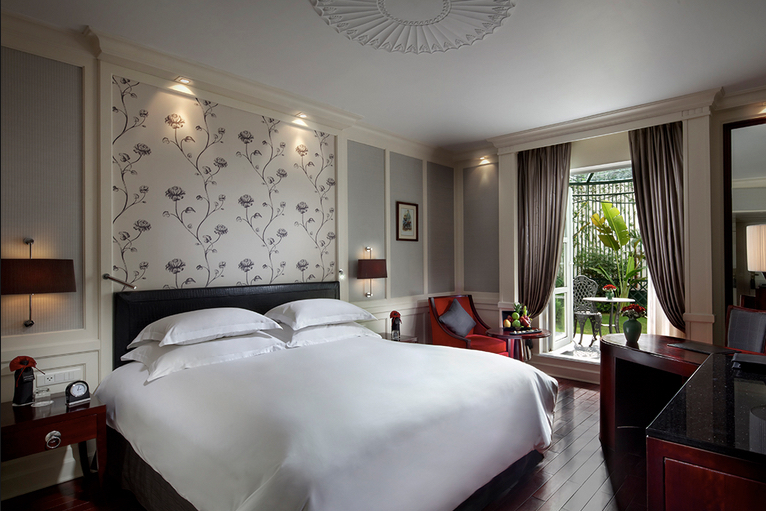 Hotel Nikko Hanoi offers 257 generously sized & beautifully decorated Guest Rooms & Suites. 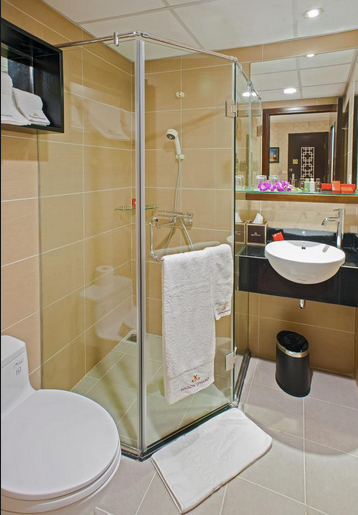 Our hotel is proud of its 5 star hotel rating as well as its 100% modern shower & toilet. 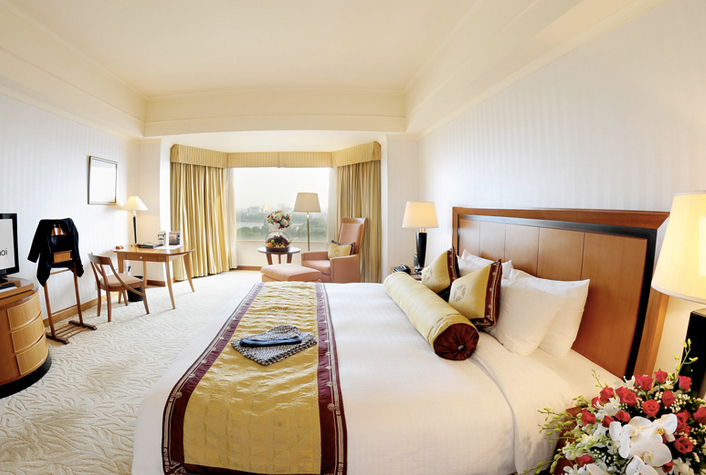 Located on the highest floors of the hotel, decorated in warm & luxurious style with separate bed & living space, our Executive Suite rooms are designed to give you wonderful memories of your time in Hanoi. 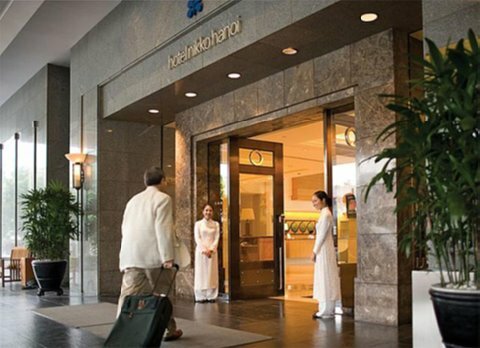 Guests staying in these rooms can access the Nikko Lounge where they can check in & check out privately as well as enjoy free-flowing afternoon tea. 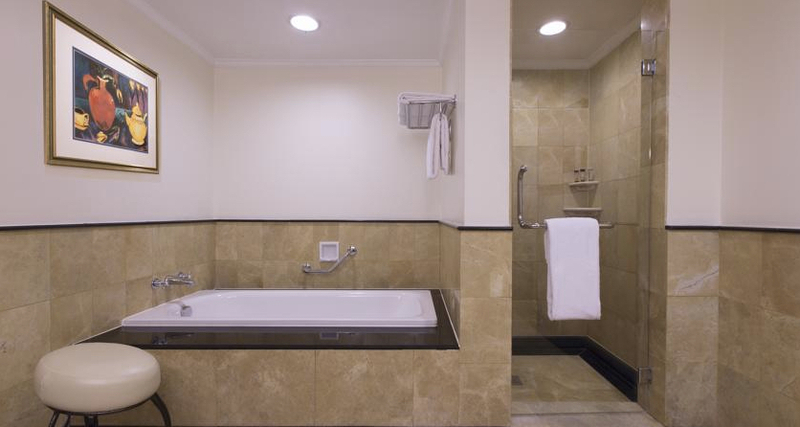 Our separate bathtub, shower & toilet will ensure you are comfortably refreshed while our sleep machine will give you & your company a good night's sleep. 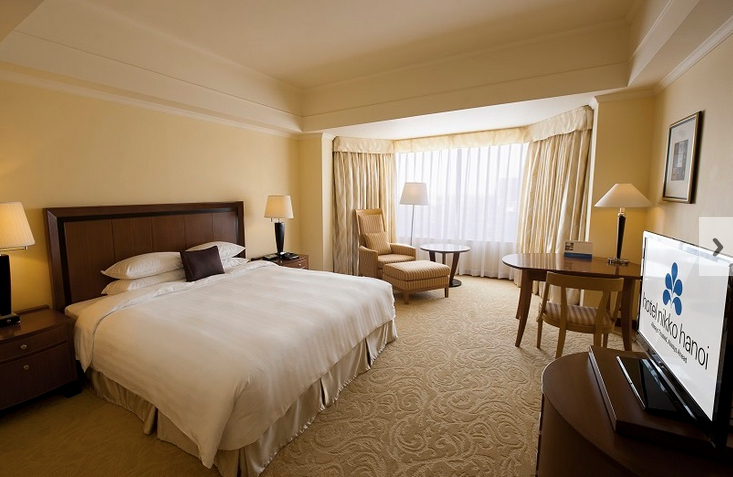 Nikko Executive rooms are located on the top three highest floors of the hotel. 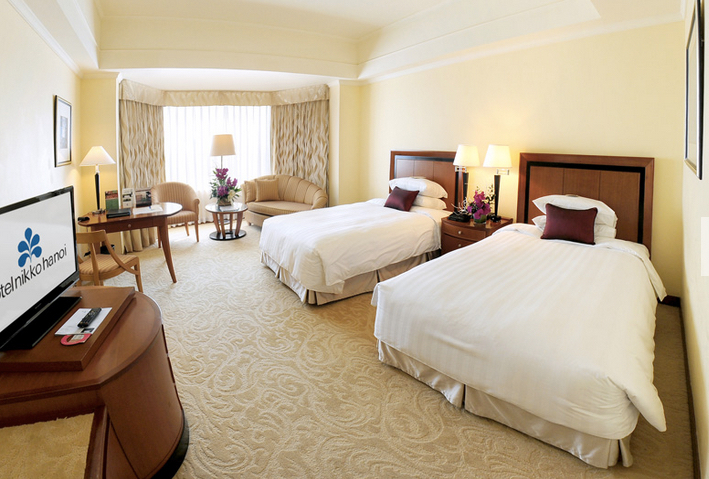 The rooms have elegant decoration & opulent furniture. Guests of these rooms have access to the Nikko Lounge where they can check in & check out privately as well as enjoy unlimited afternoon tea. Our Park View Deluxe rooms are located on the 4th to 9th floor with each of them furnished with two large private windows, elegant decor, 41 inch flat TV & a sleep machine to help ensure a good night's sleep for you & your company. 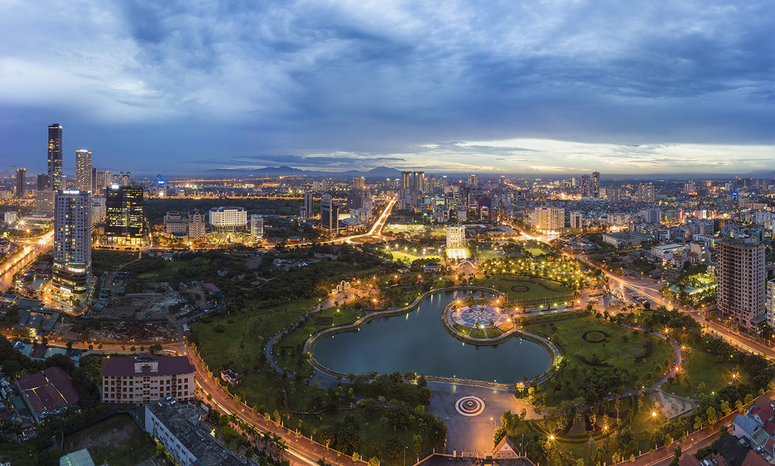 Located on the 10th to 15th floor, our Park View Executive rooms allow you to enjoy the magnificent scenery of the Thong Nhat Park. Each of them is furnished with two large private windows, 41 inch flat TV & a sleep machine to help ensure a good night's sleep for you & your company. 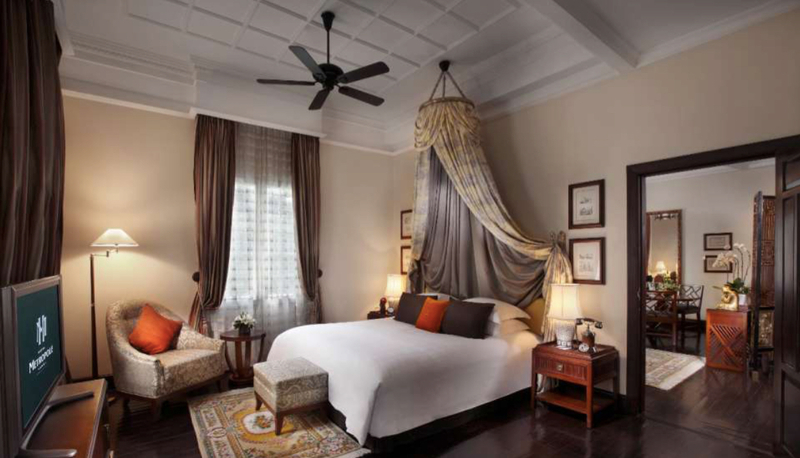 Hotel Nikko Hanoi's Presidential Suite has accommodated many high profile celebrities & ministers from all around the world. The suite has a separate bedroom, living room, kitchen & dining area which are all furnished & designed to bring you a uniquely royal experience you won't find soon forget.